I love soups because of their simplicity and versatility. Soups can be nourishing and warming, good comfort food for chilly and rainy days. “Souping is the new juicing” say some people. I am not a hype-kind of a person, but I agree that with soups it is easy to eat the required amount of veggies a day. As a reference, minimum should be half a kilo of varied veggies, per day. Anything over that is a bonus to your digestive system and health. 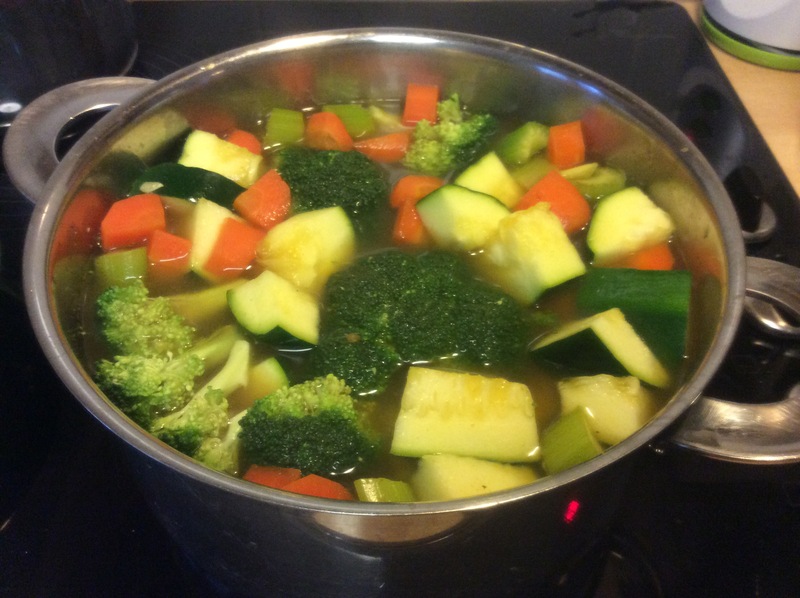 Soups can also be detoxing, when made with care with fresh and organic ingredients, without additives. Prepare your pot, for this amount minimum 3 litres of volume. Boil the water in the pot directly or in your water cooker first. Wash your veggies well. The carrots take about 15-20 minutes to get done, so start with them. Scrub them or peel them and put into pieces. Put into the boiling water, add salt. Next the celery (cooking time about 12-15 min): cut into pieces and add to the pot. Add the hard piece of the broccoli (cooking time about 12-15 min), the skin removed and cut into chunks. Add the spices and the garlic, if you use it. Allow to simmer about 10-12 minutes, so that the carrots are soft outside but still crunchy inside. Add in the zucchini (cooking time 5-7 min) and rest of the broccoli (cooking time 5-7 min). Let simmer another 5-7 minutes, or until tender. Remove from heat, add parsley and spinach leaves, or any other fresh herb you wish to use such as basil or coriander. Use a blender to make the soup smooth, or enjoy it with all its’ chunks. Bon appetite! Optional spices: cayenne pepper, chilli powder, cinnamon..
Do leave your comment :). 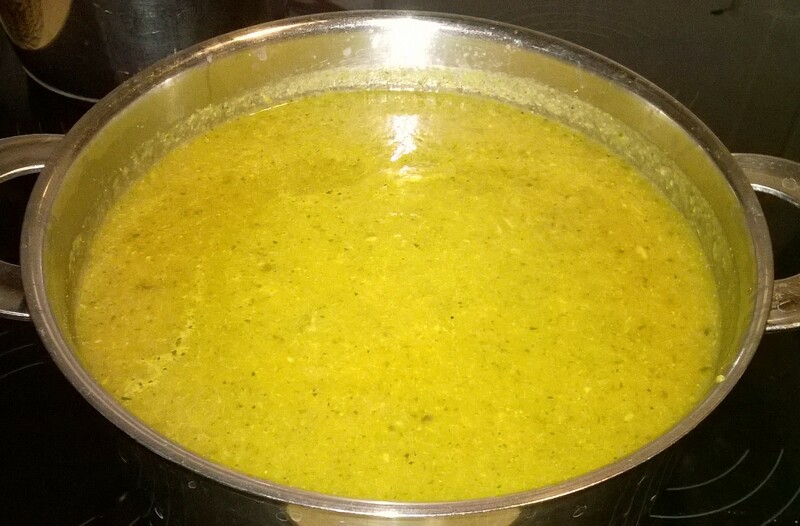 This entry was posted in Cooking, Food, Nutrition, Vegetarian and tagged ayurvedic cooking, broccoli, celery, daily requirement, healthy, herbs, nutrition, organic, recipe, soup, souping, spices, vegan, veggies, zucchini. Bookmark the permalink.